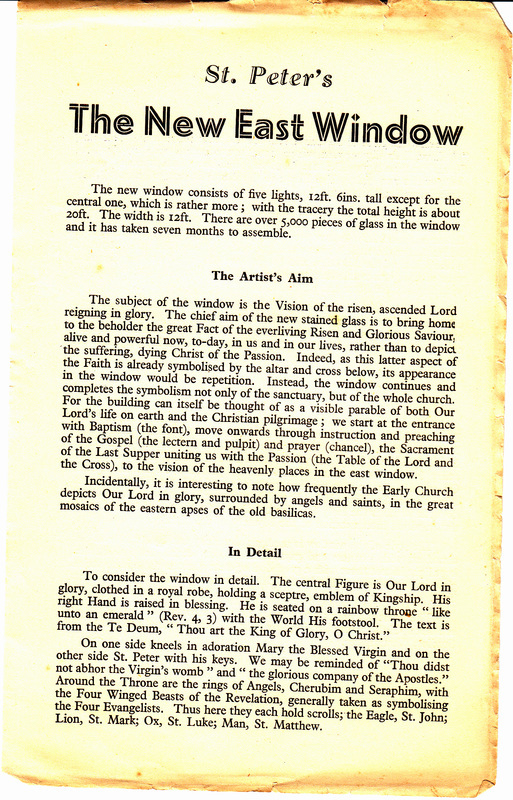 This page is all about the history of St Peter and St John's Church. 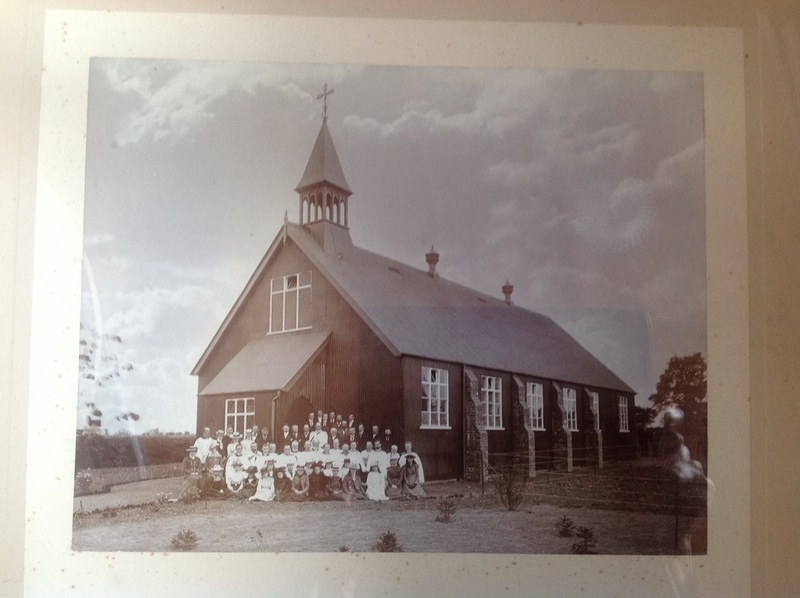 Above is a photo taken in 1904 outside the original 'tin church' which presumably shows the congregation, vicar and curate at the time. 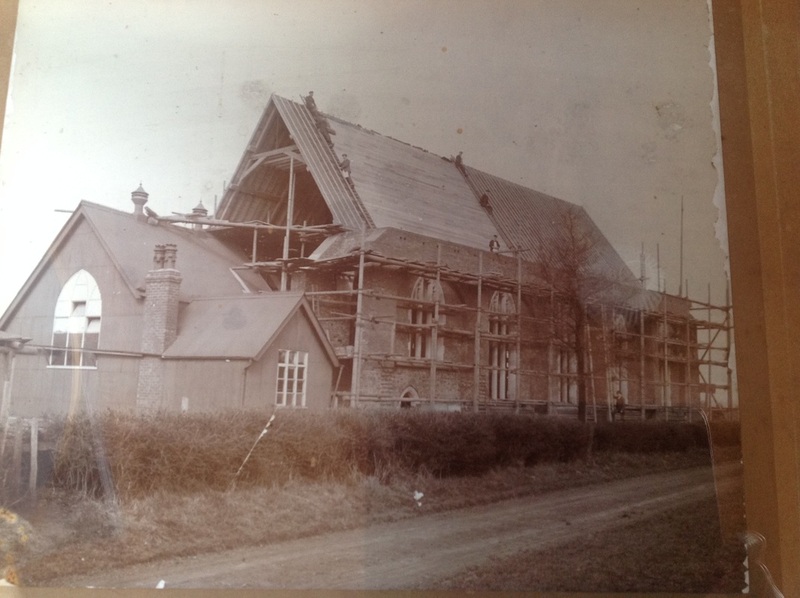 Here is an even earlier picture when the building was dedicated on May 25th 1901, note the complete absence of houses in any direction! 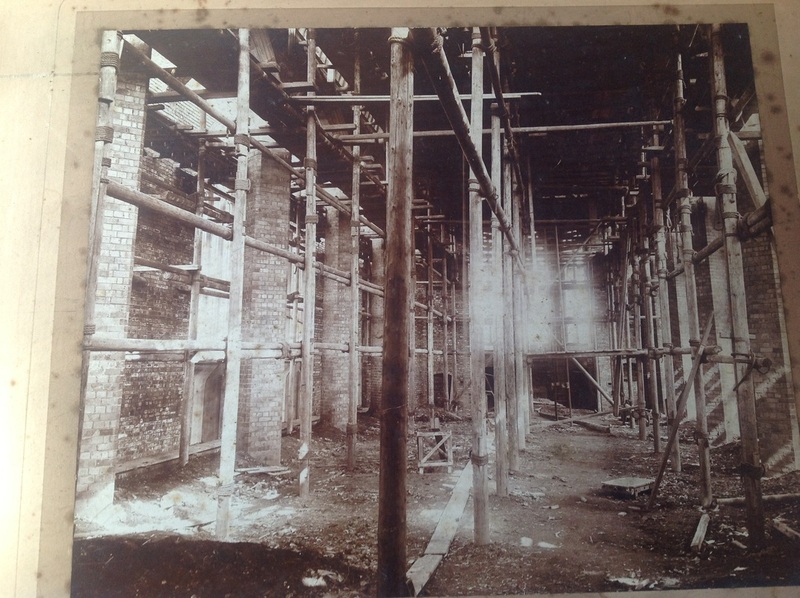 In 1909 the building was developed from the tin structure to a brick building. This photo was taken on March 31st 1909, it shows the conjunction of the old and the new. 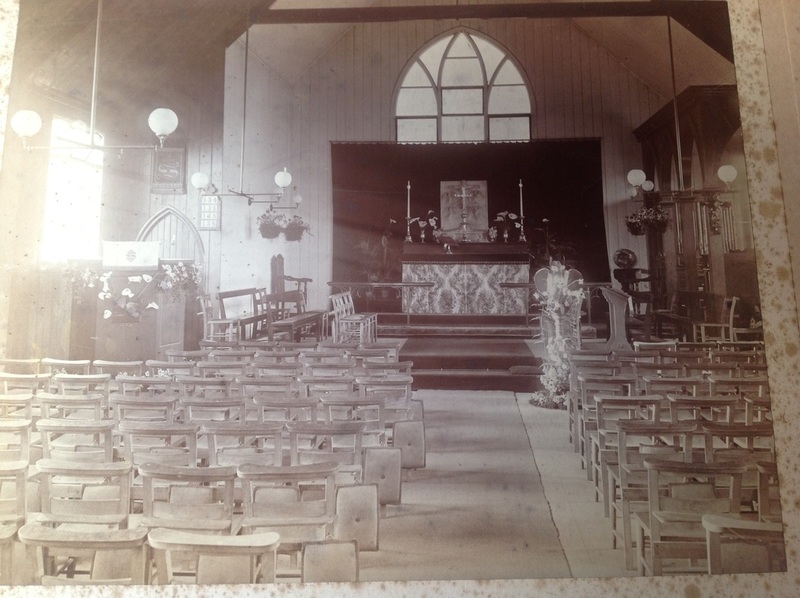 June 28th 1909 The dedication of the newly refurbished Church, the inside view (before the balcony was put in in 1984 the church was all one area inside). 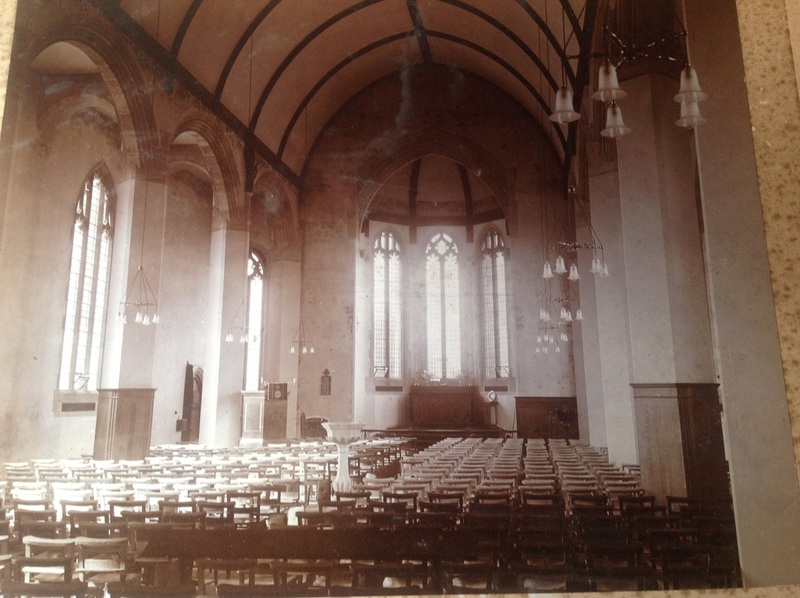 A photo of the inside taken on the same day. Looking towards the baptistry. 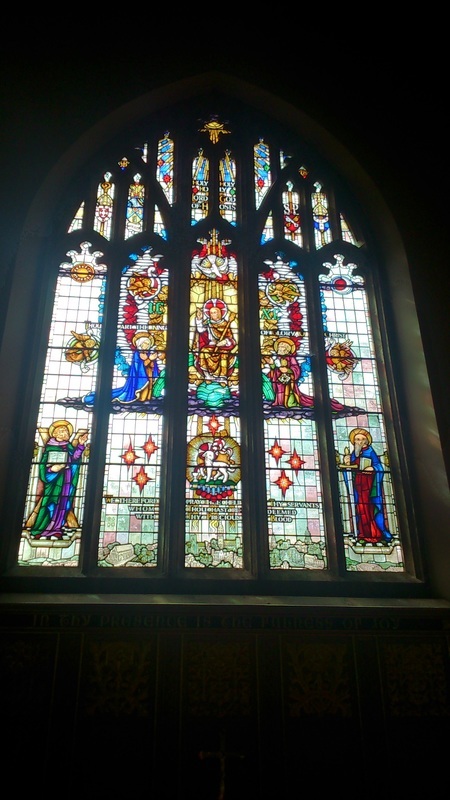 Our wonderful East Window was installed in memory of Reverend Norman Sherwood who was curate at St Peter and St John's and later became the Bishop of Lagos in Nigeria where he sadly died at a young age. 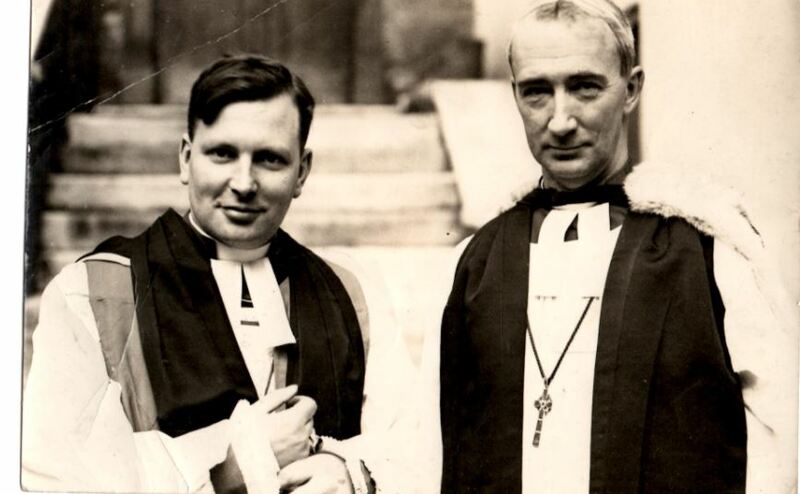 Norman was one of the priest fire-fighting at Coventry Cathedral on the night of the Blitz. Here is a biography about Norman written by Anne his daughter. Norman Sherwood Jones was born in Toxteth, Liverpool where his father was a Parish Priest. The fourth of six children, he grew up in Birkenhead and, from 1920 in Middleton, Manchester where his father was Rural Dean and, from 1930,Suffragen Bishop of Hulme. Norman was educated at Trent College, Nottingham ; he read Classics at Christ's College, Cambridge and then studied for the priesthood at Wycliffe Hall, Oxford, becoming a tutor there after graduation. 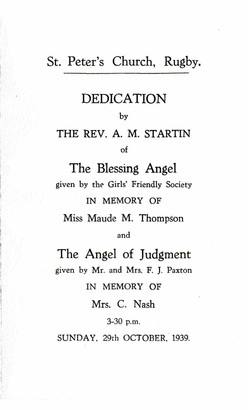 In 1937 he was appointed curate-in-charge of St. Peter's [now St. Peter's and St. John's], one of the four daughter churches of St. Andrew's Parish Church, Rugby. 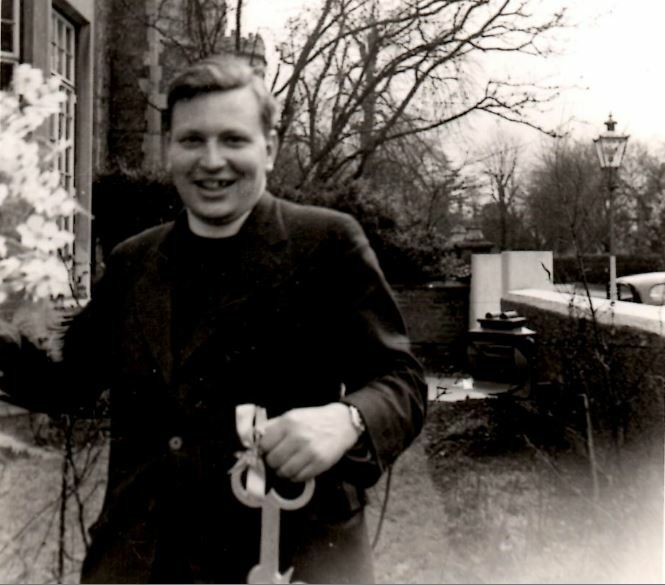 He was described by his former Rector as a 'keen and enthusiastic Parish Priest' and also worked well as part of the team of Rector and seven curates in Rugby. 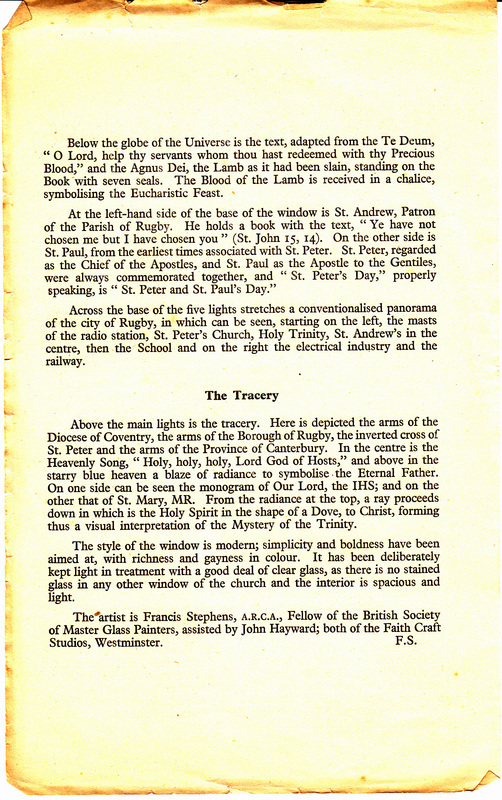 When the Rector left Rugby in 1940 Norman was in charge of the whole Parish during the resulting Interregnum. Parish socials were enlivened by his Pelmanism skills and by a mime he perfected of a clumsy, plump parson trying to sew on one of his jacket buttons. 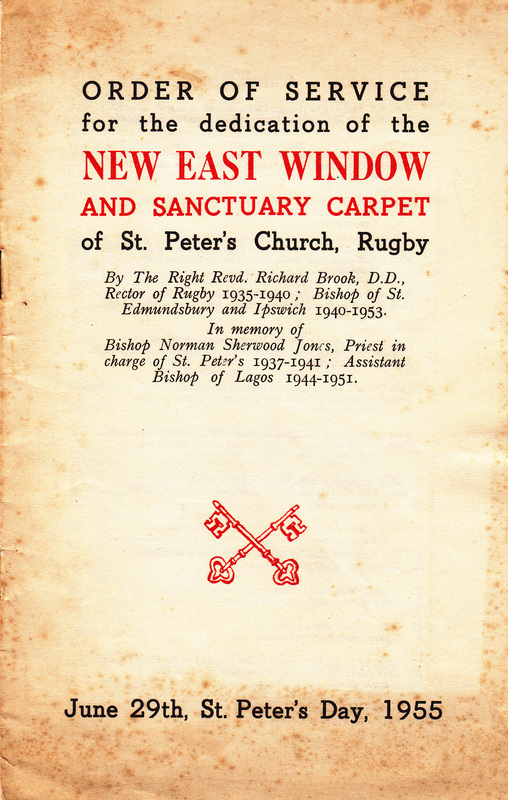 He became Vicar of Radford in Coventry in 1941 and was consecrated Assistant Bishop of Lagos (Bishop in Northern Nigeria) in 1944. In 1949 he married Dr. Doreen Bottone whom he had met during his time at Rugby. He died of typhoid in Northern Nigeria at the age of 39.